We have included ready-to-use pages and many examples from which you can combine and mix outputs to add your special touch in the theme. Yes it is that simple to use. 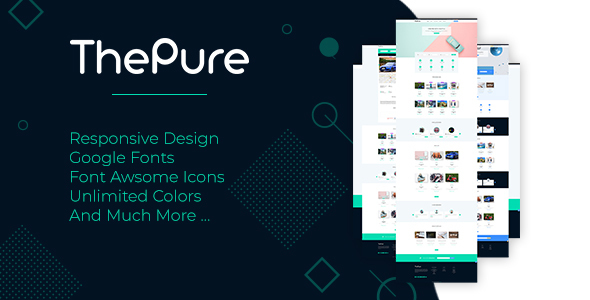 ThePure template includes LESS files to help designers and frontend developer customizing and extending the theme as much as it’s necessary for the website project. Amazing flexibility and clean design makes ThePure one of those unique templates.